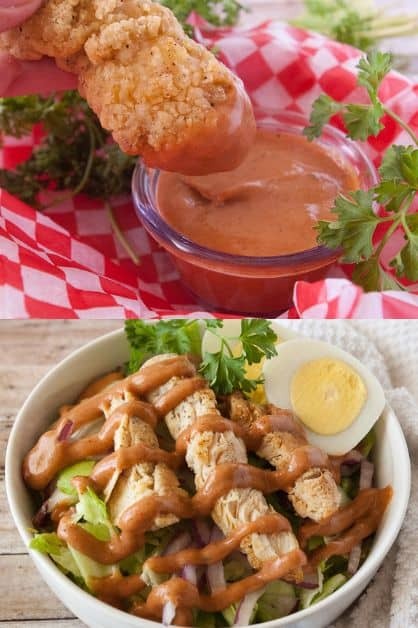 Need to break out of the ketchup or regular ranch dressing cycle? 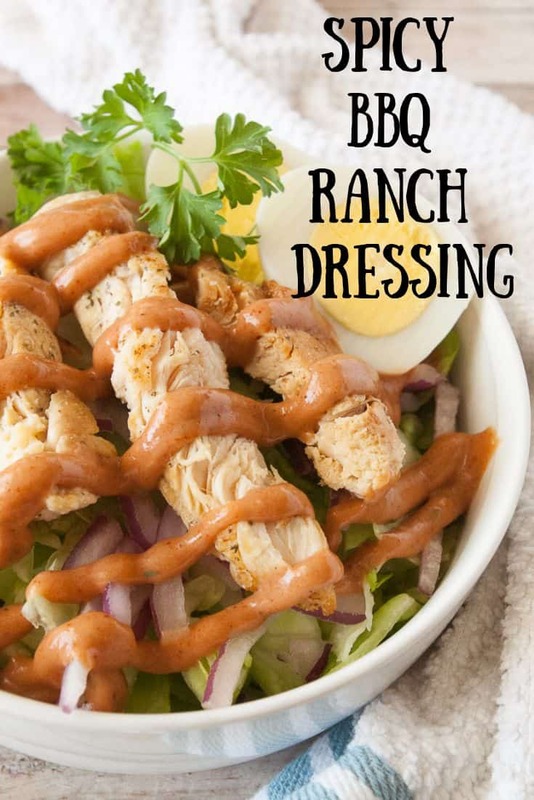 Check out this Spicy BBQ Ranch salad dressing or dipping sauce! It is so good! Use it to dip your favorite chicken strips, nuggets or whatever you like to dip! Or use it on your favorite green salad to shake things up! Super easy to whip up and will be gone before you know it! 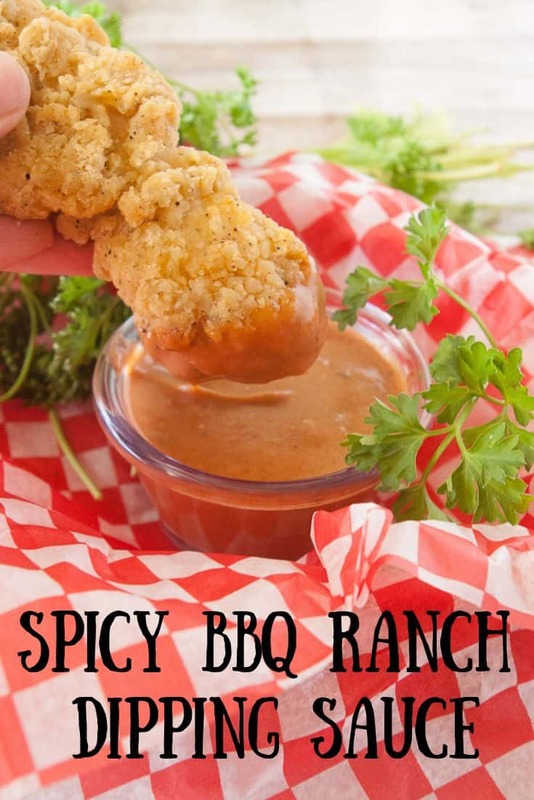 Spicy BBQ Ranch dipping sauce or salad dressing takes just a couple minutes to whip together. You will need one cup of Hidden Valley Ranch dressing. Specifically the kind you mix up yourself, not the pre-bottled dressing. I always use the kind you mix with milk. Then add 1 cup of Sweet Baby Ray’s BBQ Sauce to the ranch along with the seasonings and mix well. That’s it! 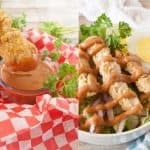 If you are looking for a great salad for this to go on I highly recommend my Southern BBQ Chicken Salad!